Making disciples is a talk recorded at New Wine - 2014 on Discipleship available as CD format. Stephen shares his experiences of people who probably don't like or 'fit in' to groups. Lesley speaks about establishing small discipleship groups in the church where the focus is on 'being a disciple who makes disciples'. Gareth and Lizzie talk about using practices before principles, discipling as a community, support/challenge, and becoming a place where the fruits of the Spirit are grown, and tested! Be the first to review Making disciples a talk from New Wine! Got a question? No problem! 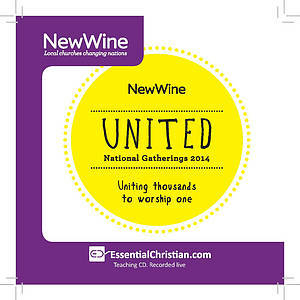 Just click here to ask us about Making disciples a talk from New Wine.